Disk-based backup technology is popular for data backup and recovery applications, such as disk-to-disk-to-tape (D2D2T), continuous data protection (CDP) software, data deduplication and virtual tape libraries (VTLs). Explore resources on disk backup here, including tips and advice on migrating to disk and putting together a disk-based backup and recovery plan. Read about how disk backup can help you meet your backup recovery time objectives (RTOs) and offer better data protection. 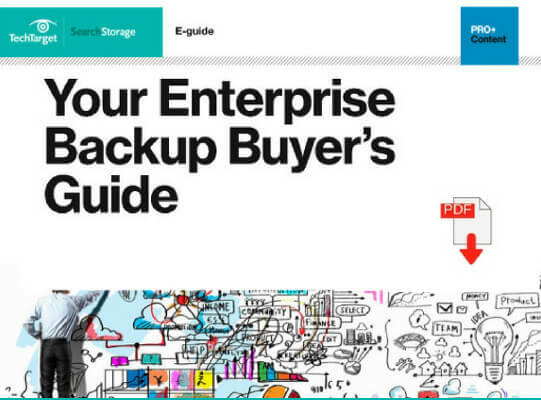 Learn about how to choose a disk backup hardware or software vendor, and find news, trends and information about the disk backup and recovery market today. Find out about disk backup best practices and listen to podcasts and interviews from storage industry experts. Read tutorials about disk backup technology strategies to help you in your enterprise data storage job, and ask our disk backup experts your most important questions. The Quantum backup appliance lineup gets refreshed with the addition of the DXi4800 and DXi9000 series. But the vendor is staying away from integrated appliances at the moment.